I just found out that if you replace the ntldr & ntdetect.com from Windows NT 3.51 service pack 5, you can access as much memory as the 32bit platform will let you!!! This is of course, 2GB per process, 1GB for Windows NT, the other 1GB is reserved for PCI hardware (remember the upper 384k in MS-DOS??). I have to say it’s GREAT to shatter the 64MB barrier of the earlier PC’s. Anyways it’s quite simple to do, just download and extract service pack 5, then just copy the ntldr & ntdetect.com in the c:\ directory. 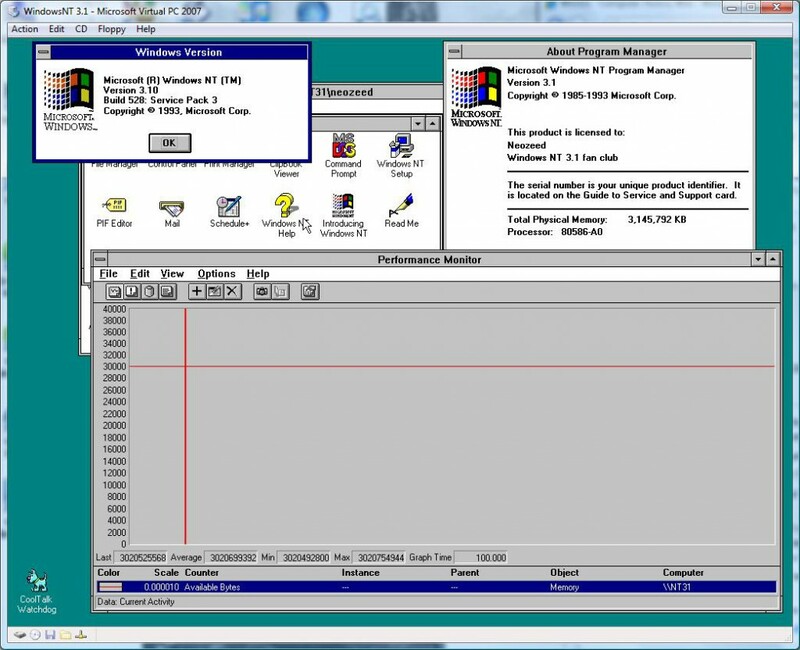 Windows NT 3.1 with 3GB of RAM! For what it’s worth, I wouldn’t go beyond 3GB, as you’ll never get to use any more then that much, just as it is with Windows 2000,XP,2003,Vista on the i386 32bit platform. That is just the way it is, and yes XP & Vista that tell you about your 4GB of ram are simply reporting installed ram, not available memory. On vista with some fancy multi core machines… I’ve found that some OS’s will just DOG big time, inducing major latency, disk errors, and of course it’ll eventually corrupt the guest OS into not working. Anyways back when Virtual PC was a connectix product it was meant to run on a SINGLE CPU/CORE. Back then multiproc machines were servers… And who would be running Windows NT 4.0 server on a Windows NT 4.0 server?? Anyways the ‘fix’ here is to set Virtual PC’s affinity to a single core BEFORE you start any VM’s. I’ve been setting mine to 0, but i suspect it doesn’t matter as long as no other VM’s have started before hand. Anyways start up Virtual PC, then launch task manager, and set it’s affinity to a single core, then you’ll be good to go! So far it would seem that Virtual Server is not hit by this, and I have to wonder if you install Virtual server onto a machine running Virtual PC with the new ‘core’ would it work correctly…..? Anyways this fix is good enough for me. It’s nice to boot up in a few seconds. Windows NT 3.1 does NOT support the PCI bus, making most emulation difficult to impossible. However some vendors wrote their own PCI routines allowing their PCI devices to work under Windows NT 3.1! And as luck would have it, the two that I found should work for both VMWare & Virtual PC users! VMWare users can download an AMD Pcnet driver here that will happily bind on PCI. Once you install the driver, you can have it scan the appropriate busses and it should pull up and work. Another fun thing I found for Virtual PC users, is that the HP Pavilion 5000 desktop shipped ready for Windows NT 3.1, and it was equiped with a S3 video card! And it’s video driver will work with Virtual PC! You can download it from HP’s site here. 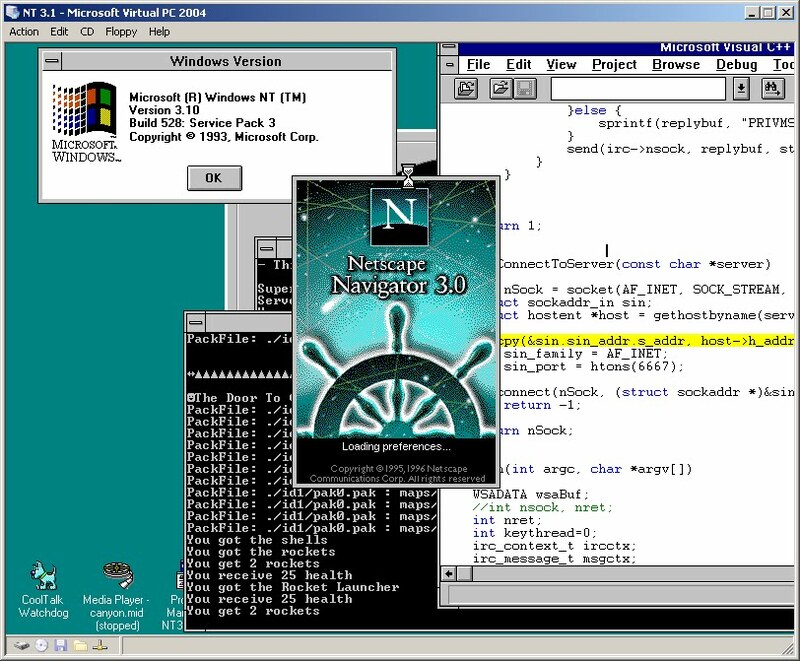 And if anyone wants to see it in action, be sure to check out Apache running on Windows NT 3.1! Visual C++ 4.0 arrived today! 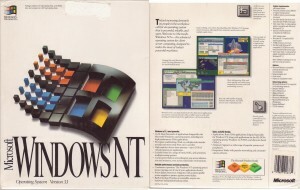 I always did like the old Microsoft boxes during this time period… They always looked somewhat professional, not like today’s weird boxes that look like some kind of toy should be inside. You have to remember it was “time” the golden age of the promised RISC cpu… Intel was hitting that wall with the 486, but lo the pentium changed all of that. And the Pentium PRO cemented all the little RISC cpu’s death. It’s funny how at the same time the “itanic/itanium” is just as dead as well.. MIPS. At least MIPS has their embedded space.. Which is funny looking back at the R4000 as a workstation CPU, and now it’s available in handhelds & set tops.. Although the Acorn derived strongarm is well… Strong-arming MIPS & Power for embedded dominance. 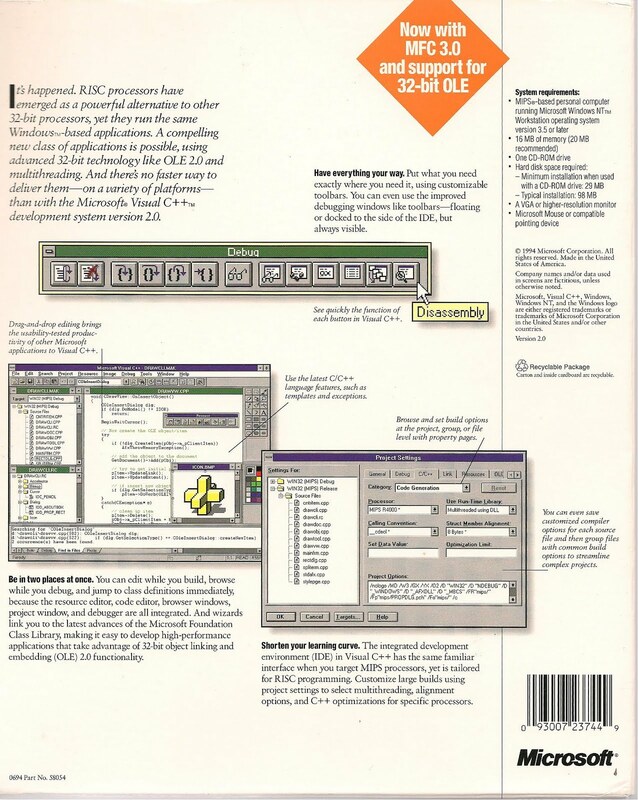 I’m pretty sure that Visual C++ 4.0 brought a lot of Windows 95 like functionality to NT, so I’ll have to see just how much(or little) of modern stuff will build. According to this link, 4.0a was the LAST version to support the MIPS, so Unless I can find 4.0a this is as good as it’s going to get. Author neozeedPosted on August 12, 2009 November 4, 2013 Categories mips, visual C++2 Comments on Visual C++ 4.0 arrived today! 96 MB (128 MB recommended) memory for Windows 2000 Professional or Windows XP Professional. 192 MB (256 MB recommended) memory for Windows 2000 Server. VGA or higher-resolution monitor. A Super VGA (800 x 600 or larger) monitor is recommended. 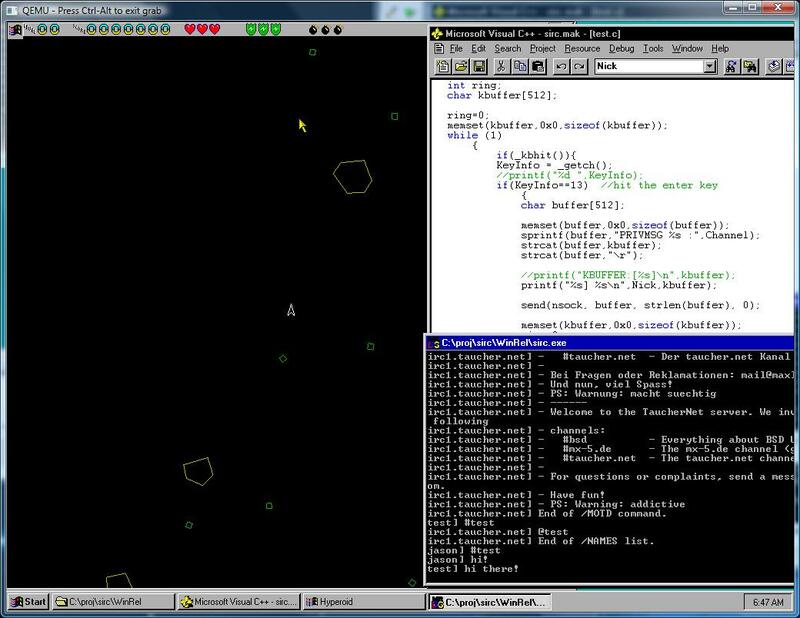 If your machine is NOT up to this kind of capability, then you can download the older eMbedded Visaul C++ 3.0, that will run on Windows NT 4.0 (i386 of course). Purdue also had a nice walkthrough on installing the 3.0 tool kit. I DO recommend that you install IIS on your cross compiling machine, as it’s an easy way to move your object files to the MIPS host for linking. 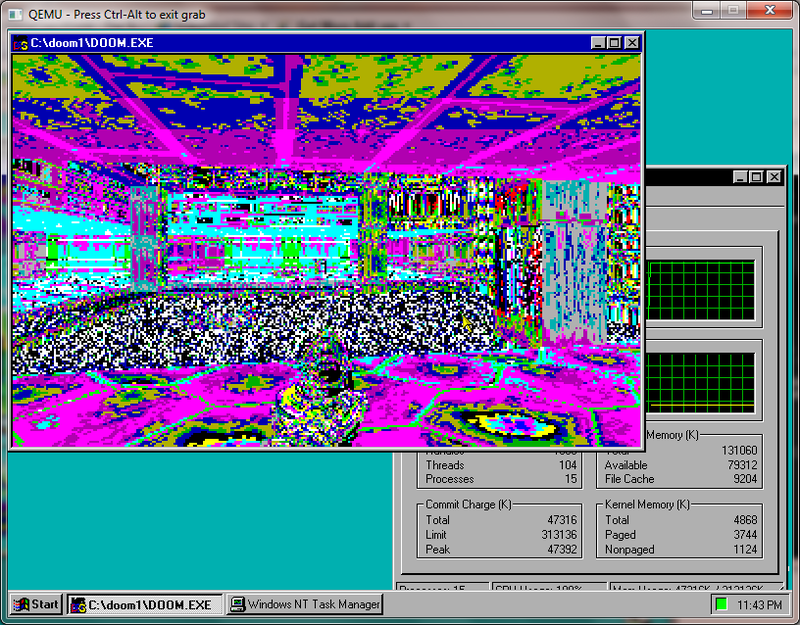 It is worth noting that Visual C++ 4.0’s emulator will NOT run under Virtual PC. They use the same call set, and it thinks VPC is Windows CE.. I know it’s confusing. I would imagine everyone could run this… Well if they were so inclined. Well the installation is pretty simple but now for the ‘fun’ stuff. First let’s download the source code to Quake. ID software has been most kind to provide the Quake engine under the GPL! So we can use it for a MIPS cross compile test.. (As far as I know there is no Dec Alpha cross compiler, but there is a PowerPC.. Anyone use a PowerPC NT machine?) You can download it here. This went nowhere, as it turns out WindowsCE and Windows NT use different models for floating point, and are incompatible. To make it “feel” like visual c++ 2.0 I’m going to put them in the c:\msvc20\bin directory on my HOST pc (Vista Pro x64). Then I simply copy the include & lib directory from the MIPS Visual C++ CD into the corresponding directories on my host. We are ALMOST there. The next thing I did was to grab an intel copy of Visual C++ 2.0 (I almost be dammed near all of them can do this..) and take it’s linker. The linker out of the embedded tools is obsessed with the windowsce subsystem which won’t help us at ALL. Go ahead and place those files into the c:\msvc20\bin directory. Save that to something like mipvars.cmd, and run it & we should be ready to start compiling! To test the cross compiler I’m going to build a SIMPLE program that has 2 files. Copyright (C) Microsoft Corp 1984-2001. All rights reserved. c:\msvc20\bob.exe is not a valid Win32 application. And of course since you installed IIS on your HOST( or cross compiling VM) you can connect to it from your MIPS vm, download the exe & run it. I’m kind of surprised it worked. It does go to show though, that somewhere inside Microsoft they have some COOL cross compiler technology, it’s just too bad they didn’t make it into an easy package for the RISC stuff. But now that the MIPS is coming back to life via Qemu, and NT 4.0 can be had for $5 a retail box on ebay… I figure it’s worth this much for those people who can find Visual C++ for MIPS/RISC. So with very little understanding of how IRC actually works I was able to build a SUPER simple client. Please note that it’s so simple the / commands that you’ve come to love are not implemented…! You get one shot for your name/nick/server & channel.. 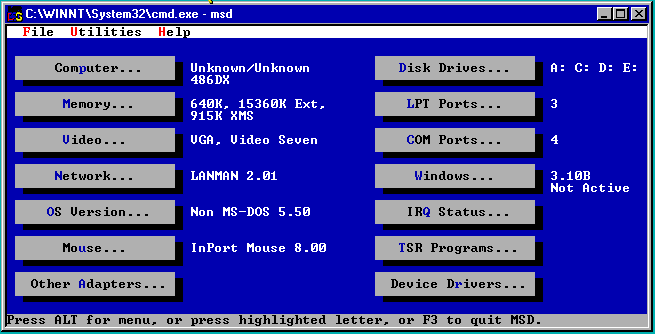 But hey the exe is like 70kb for the MIPS/x64 and 35 for the i386. You can find it’s source & binaries right here. Also Antoni Sawicki has given me a BUNCH of leads on old public source, and binaries, namely ROIDS the first real graphical game we seem to have now for the MIPS. The source was a part of a PDTools thing that Dec had put together, however a lot of it will build for both i386 & MIPS. I’ve extracted the source for roids here. I don’t want to over promise but I’ll see if I can get quake to build some time in the next week.. 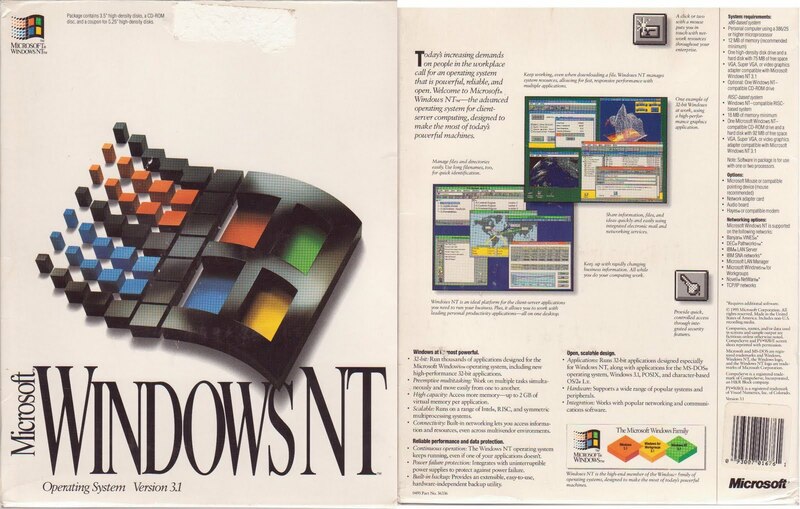 I don’t know if I can get any graphics out of it, but it’d be fun for a server at least… Windows NT 4.0 sp1 should have DirectX 2.0 … The pinball game is quite playable (although the colors are all screwed up, due to a pallet glitch in the emulator) so we shall see. Author neozeedPosted on August 7, 2009 May 30, 2014 Categories games, irc, mips, Windows NT 4.0Leave a comment on SimpleIRC & ROIDS for the MIPS!